Cru Moulin à Vent "Terres Roses"
The Moulin à Vent is often called the "Seigneur des Beaujolais" (lord of Beaujolais). 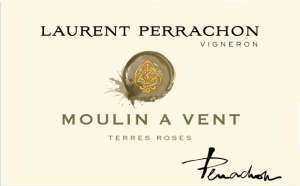 Our Moulin à Vent Terres Roses is a robust wine, with aromas reminiscent of southern wines and very ripened fruits. 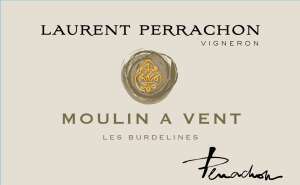 We offer also a Moulin à Vent Cuvée Spéciale "Les Burdelines"
It's a well built wine which has a dark ruby robe. Its bouquet is dominated by iris, wilted rose, spices and ripe fruit aromas. Moulin a Vent is wine to age, classified as "Lord of the Beaujolais" wines. Once aged, serve at 14°, with red meat, game and strong cheeses. Our special cuvees represent the best of our skills. This Moulin à Vent aged in oak barrels is a rich and powerful wine. It is aged in new oak like great burgundies. It is particularly appreciated in the USA and England. It's a well built wine which has a dark ruby robe. Its bouquet is dominated by black fruit aromas. Our cuvee is rich and powerful, like a great Bourgogne. Once aged, serve at 14°, with red meat, game and strong cheeses. Raised for 12 months in oak barrels and 3 months in large oak vats.